February 6, 2017 | By admin | Comments Off on Ubila me tuđina | Filed in: Laste Vrbanje. February 6, 2017 | By admin | Comments Off on Mirišeš na dame | Filed in: Laste Vrbanje. February 6, 2017 | By admin | Comments Off on Pjesma posvećena Iliji Đukić Ići | Filed in: Laste Vrbanje. February 6, 2017 | By admin | Comments Off on Anka sa Zmijanja | Filed in: Laste Vrbanje. 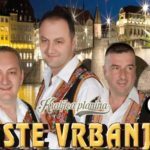 February 6, 2017 | By admin | Comments Off on Mene zove Vrbanja | Filed in: Laste Vrbanje. February 6, 2017 | By admin | Comments Off on Grabovčanka | Filed in: Laste Vrbanje. February 6, 2017 | By admin | Comments Off on Boem | Filed in: Laste Vrbanje. February 6, 2017 | By admin | Comments Off on Ja u Pertu ko u Banja Luci | Filed in: Laste Vrbanje. February 6, 2017 | By admin | Comments Off on Milica | Filed in: Laste Vrbanje. February 6, 2017 | By admin | Comments Off on Selo moje ljuta rano | Filed in: Laste Vrbanje. February 6, 2017 | By admin | Comments Off on Kraljica planina | Filed in: Laste Vrbanje. March 25, 2014 | By admin | Comments Off on Kćer oficira | Filed in: Laste Vrbanje. March 25, 2014 | By admin | Comments Off on Braća Đukić | Filed in: Laste Vrbanje. March 25, 2014 | By admin | Comments Off on Neće da se ženi | Filed in: Laste Vrbanje. 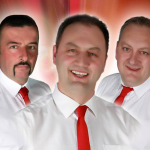 March 25, 2014 | By admin | Comments Off on Gdje si, kralju | Filed in: Laste Vrbanje. March 25, 2014 | By admin | Comments Off on Crne kose | Filed in: Laste Vrbanje. March 25, 2014 | By admin | Comments Off on Evo moga zavičaja | Filed in: Laste Vrbanje. March 25, 2014 | By admin | Comments Off on Gara šampion | Filed in: Laste Vrbanje. March 25, 2014 | By admin | Comments Off on Rada Srpkinja | Filed in: Laste Vrbanje. March 22, 2014 | By admin | Comments Off on Uslikaj se, sestro | Filed in: Laste Vrbanje.